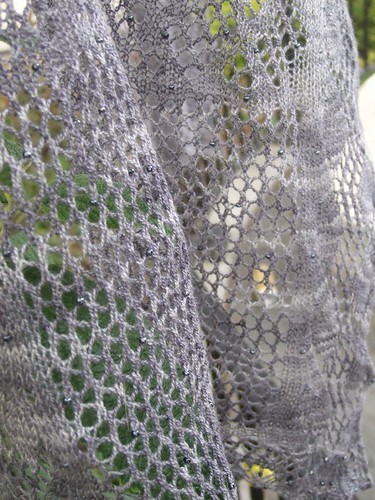 New York City | Rosi G.
GO TO THE LITTLE KNITS BLOG, LIVE STITCH, TO CAST YOUR VOTE FOR YOUR FAVORITE. Scroll through her latest 6 posts to view all the contest entries and then go back to her latest post to vote. Finally, the unveiling of my design! A moment I’ve been long waiting for! I am a true New Yorker at heart. I LOVE the city. I love the noise, the pollution, the congestion, the subway. It’s totally me. They say us New Yorkers can be snobbish or rude. I don’t think we are that ALL the time. I think we have our soft side too. 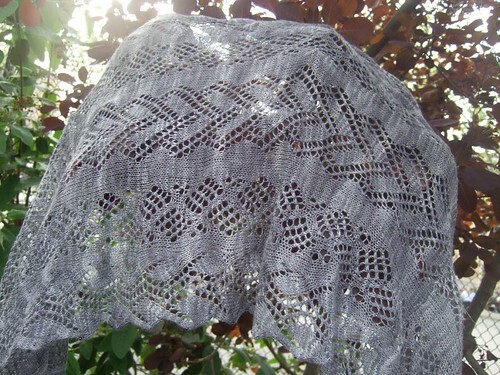 So here is an example of a New Yorker’s softer side: silky lace. The pattern is inspired by the place where this stole was knit 90% of the time: the NYC subway system. The bottom edging looks like the wheels, the main center panel looks like the subway map, and the side edging is Rose Lace to signify what you wish the train smelled like. 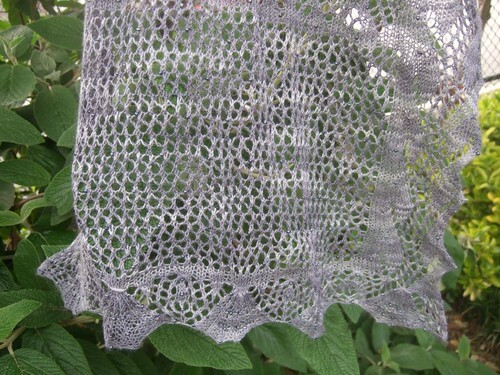 This pattern is worked in two halves, from the bottom to the center, and then grafted to join. Notes: Notions: 1050 seed beads, size 8 (I used approximately 1018 hematite-colored beads from Fun2Bead in, where else, NEW YORK CITY! ); one size 13/14 crochet hook, stitch holder, stitch markers (to place between the different lace sections, if you wish), yarn needle. 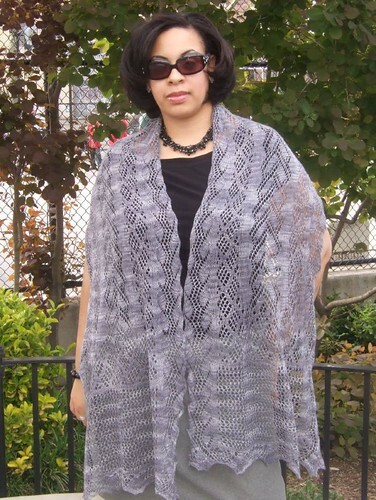 This pattern is worked in two halves, from the bottom to the center, and then grafted to join. Previous PostSuperwomanNext PostTHANK YOU THANK YOU!! You’re doing GREAT with the designs, and this is no exception. I love the shawl, and your description is on point. NYC is the place to be. I wouldn’t be able to live and be happy anywhere else. Congrats on this lovely design! 😀 Gotcha Back! My votes in! Its a beautiful stole!!! THAT is gorgeous!!! I love it! Beautiful design. I voted for ya so I hope you win! 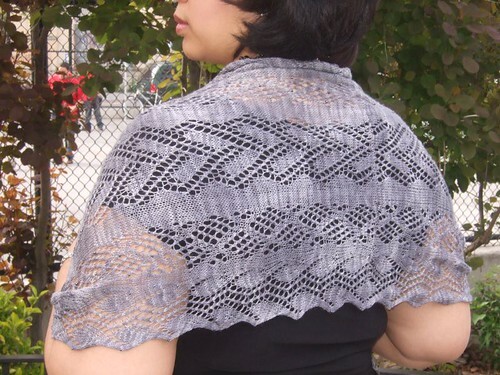 I saw the contest link on Ravelry and went over to vote. 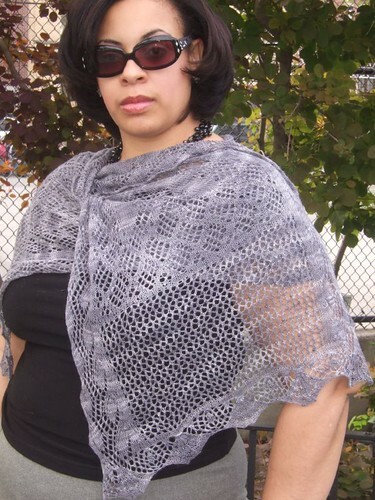 Your shawl is awesome! I hope you win. 😀 awesome design and color…. Wuhahaha…what you “wished the subway smelled like” Hee hee! I’ll never forget my virgin whiff of the NYC subway system! It’s beautiful. I can’t believe you did lace on the subway…you must take some good lines that don’t get uber-crowded??? It’s just Beautiful Rosi! Another great design. And the color is perfect for the image you evoke. And I couldn’t resist commenting a second time, as I hit enter and then my blog name came up! Yay! Do I still get a prezzie? Hi Rosi! This is beautiful! – Cristi turned me on to the voting and I’m all over it like a cheap suit — you betta win! Represent! I voted for yo, not only because you stole is HOT as FIYAH, but also because you make me miss NYC…home. Any Manhattan nuance that I come across, I cherish! Omgoodness, that is so beautiful. Can you believe I live in MA and have never been to NY. I’m going to have to make a special trip just to see you and your works in person. I’ve been drooling over your shawl ever since I first saw it. 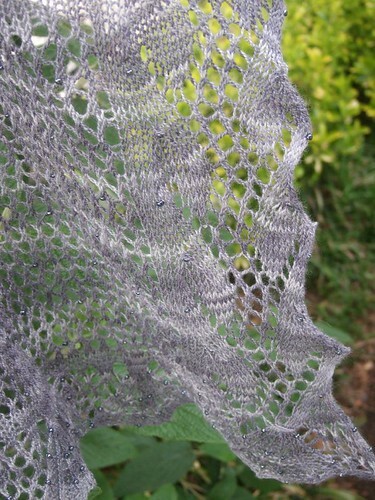 It’s in my Ravelry queue and getting knit when available.